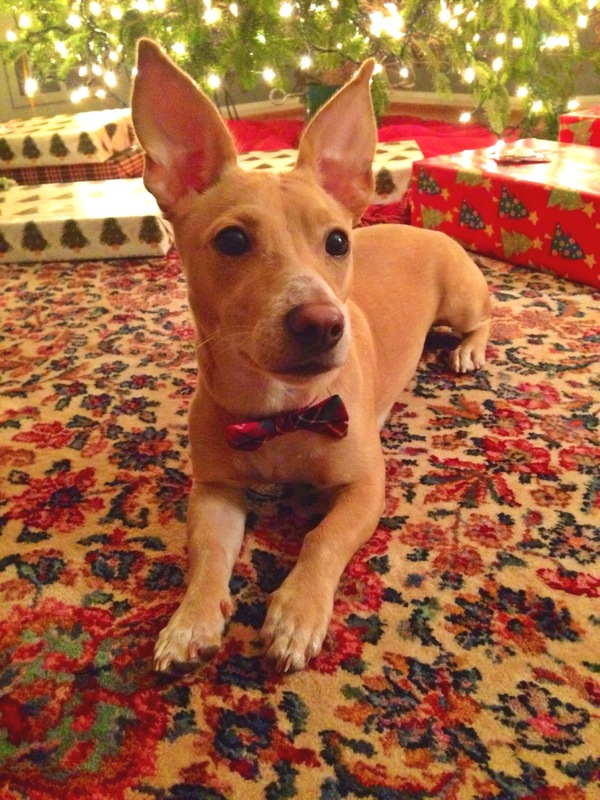 Who doesn’t love a puppy in a bow tie? TGIF and happy almost weekend! It was a busy week on the blog and we are so grateful for everyone who has stopped by, this sister project has been a fun adventure. Just about every store is having a sale so this week I just rounded up some of my favorite links. Enjoy! If you don’t already follow Tiffany Beveridge’s Pinterest page about her imaginary well-dressed toddler daughter, Quinoa, you are missing out! Kids don’t only say the darnedest things, they also do them! Some days, don’t you just hate pants?! In an effort to add something new to the blog; we’ve decided to share articles/products that we are loving. If the items are on the pricier side, we search for a less expensive alternative, that’s just as fabulous. Some articles/products are a ‘reach’ and may take sacrificing your daily Starbucks coffee for a couple of weeks to obtain. While others are a ‘grab’ and can be purchased at a fabulous, non-sacrificing price. 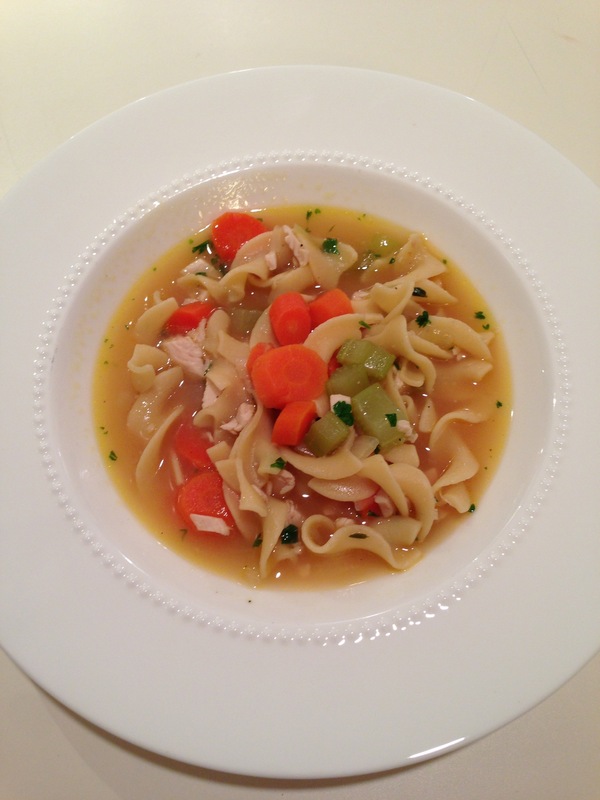 Chicken Noodle Soup to the Rescue! Oh how I love cold and flu season. Unless you keep your kids locked in the house all winter it’s pretty much a given that they will get sick at some point. The germs, runny noses and coughs are everywhere you turn. This week the biggest baby in our family got sick…my husband! Why is it that men can’t function when they are sick? Just a sniffle and their world comes to a halt. Homemade soup was at the top of his list of requests. A big warm bowl of it truly is the best medicine! 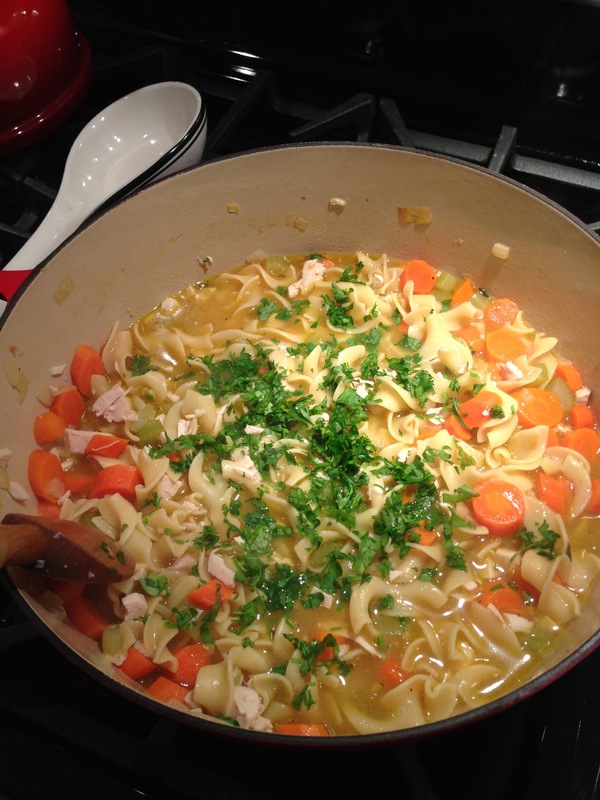 I’ve tried many chicken noodle soup recipes but I always come back to the one by Tyler Florence. 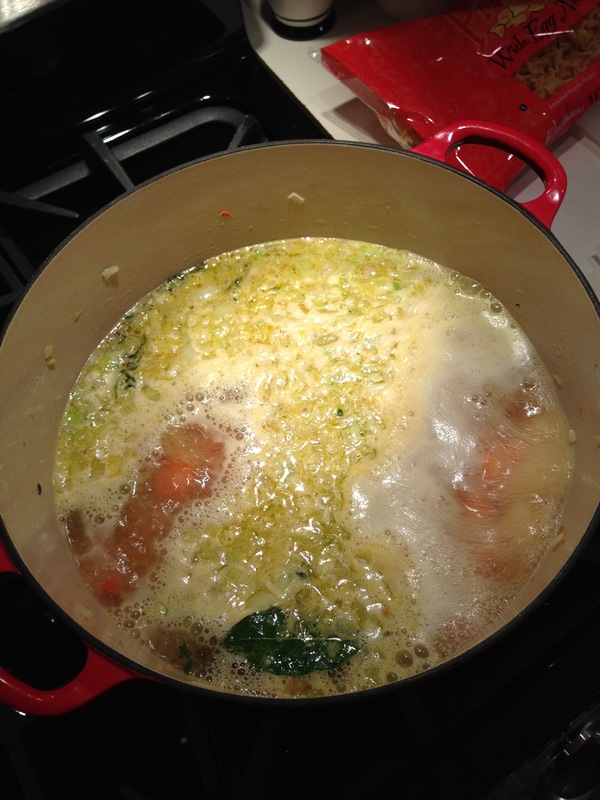 I never have the time, or patience, to make my own stock so I just buy store bought and I think it comes out just as tasty. 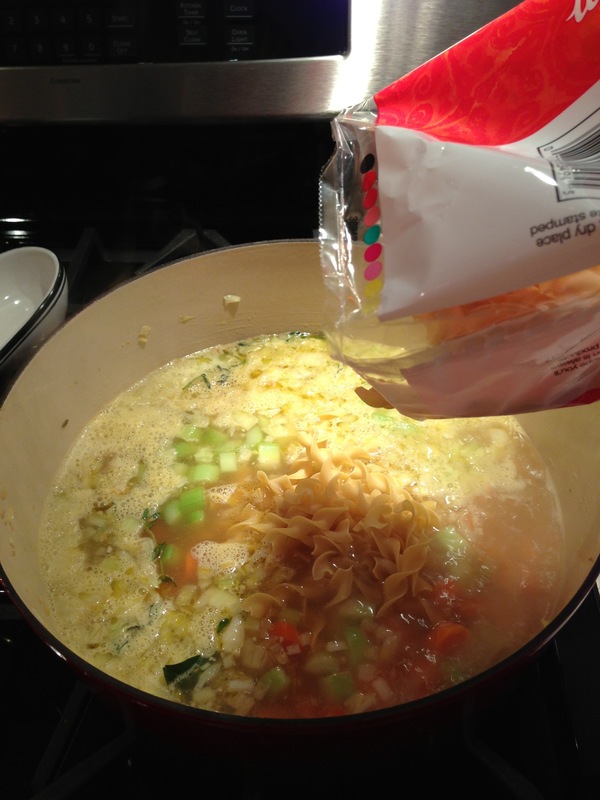 Here is my twist on the recipe! 1. 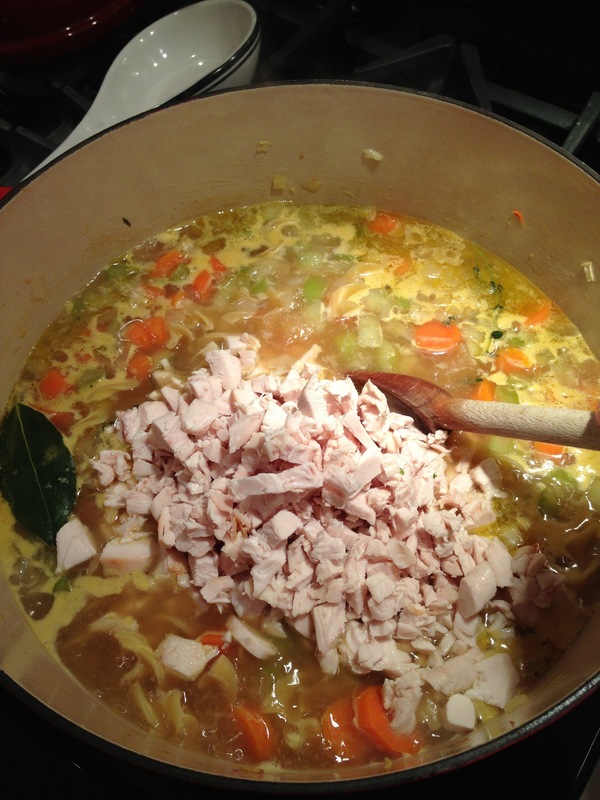 Place a large pot or Dutch oven on stove over medium heat. 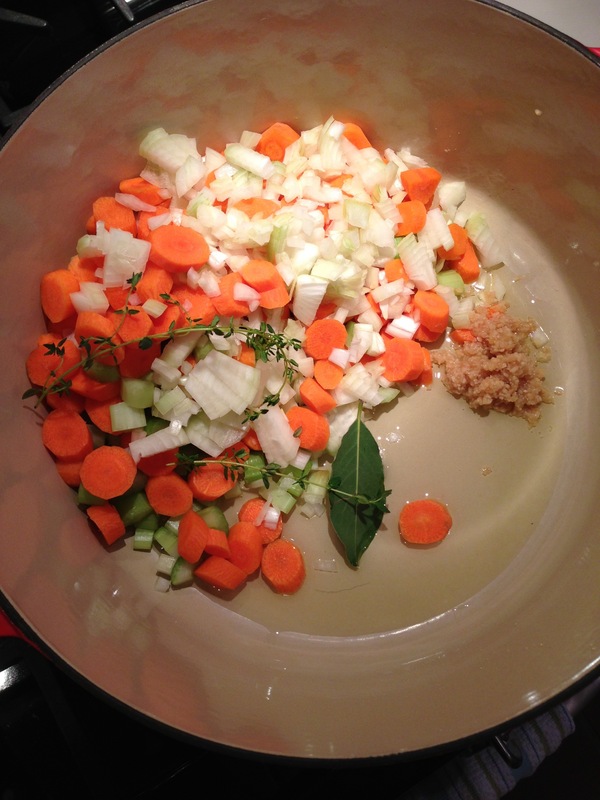 Cover with olive oil and add in carrots, celery, onion, garlic, bay leaf and thyme. Cook and stir until vegetables are softened but not browned. 2. 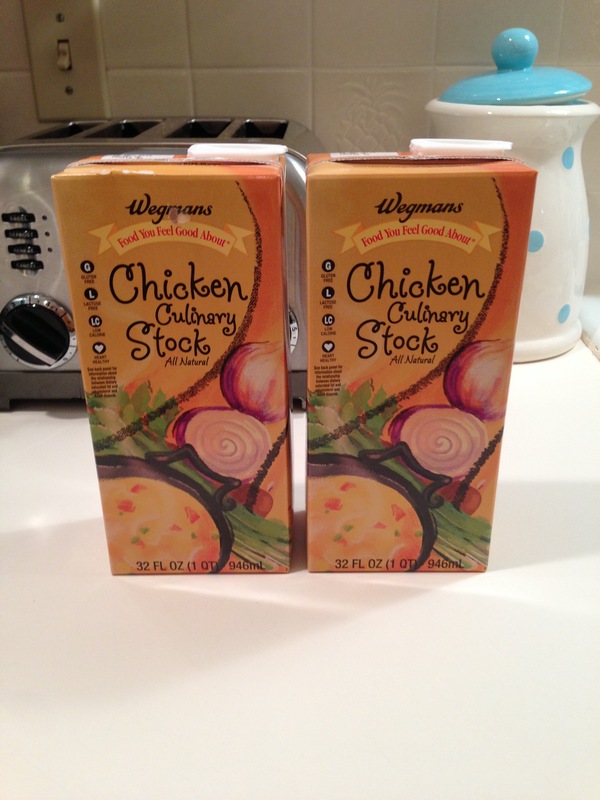 Pour in the chicken stock and bring to a boil. 3. Add the noodles and simmer for about five minutes or until tender. 4. Stir in the chicken and continue to simmer until heated through. Season with salt and pepper. 5. Sprinkle with a handful of parsley and serve with a crunchy grilled cheese sandwich. Guaranteed to make everyone feel better! There are several apps I use on a daily basis and many are the usual suspects: Facebook, Instagram, Pinterest and the Weather Channel (far better than the Apple weather app! ), but there are also some others that are new favorites and one that’s been around for a while. Timehop: a recent recommendation that has become a new favorite. Timehop links to the social media accounts and photo libraries of your choosing and sends you a notification each day of any pictures or posts that you made on that same date in years past. Some days there aren’t any updates but others I have had pictures from one, two, three, four, five and six years ago. It’s fun to take a quick walk down memory lane everyday without doing any of the legwork. Songza: I have been a longtime fan of Songza as opposed to using Spotify or Pandora. Songza has pre-made playlists you can choose from based on your mood (waking up happy), current activity (singing in the shower) or you can also search a genre or artist. Songza is a road trip must have and some favorite playlists include: Girls Just Wanna Have Fun, 90s Crowd Pleasing Hits and The Ultimate Oldies Party. In NYC you can usually get 3 or 4 songs after you head down into the subway so it’s a great city commute option as well. QuizUp: As Jeopardy and Trivial Pursuit fans, Andy and I love challenging each other in this quick, live quiz game. We’ve also both roped in several family members as other opponents and it’s fun way to connect without having to dedicate yourself to a week long game of Words With Friends. Heads Up! : If you don’t know this app, go look it up now. It will be the most entertaining 99 cents you spend, guaranteed. 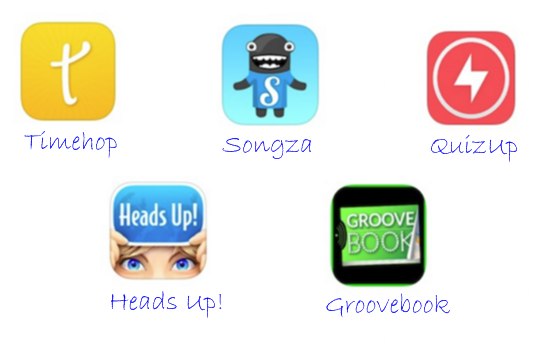 Groovebook: I recently discovered this app last week on Shark Tank so I haven’t received the product yet but I’m sure it will stay a longtime favorite. Their premise is you spend $2.99/month and they send you a photobook of 4×6 pictures, pre-perforated for easy removal of up to 100 photos. That’s right, just $2.99 for 100 including shipping! I am excited to finally get consistent copies of the countless pictures on my phone that never make it anywhere aside to iPhoto. It’s been super cold outside, which has left Reagan and I hanging out at home to avoid the absolutely skin chilling weather outdoors. Hanging out inside all day, with a two-year old, requires this momma to be on her toes. I try to have several projects/activities planned for Reagan that I can easily access when there is down time that needs to be filled. One activity that I’ve been waiting to do with Reagan is Delia Creates awesome iceberg activity. We had just come back from visiting cousins in Kingston, Ontario, where they were recovering from an ice storm that reeked havoc on their small city. We saw beautiful icicles and huge chunks of ice lining the slick streets. Delia’s activity seemed liked the perfect extension for our ice filled trip. Iceberg and glacier facts – I wanted to be sure that I was passing on accurate information to Reagan. Find what we used below. 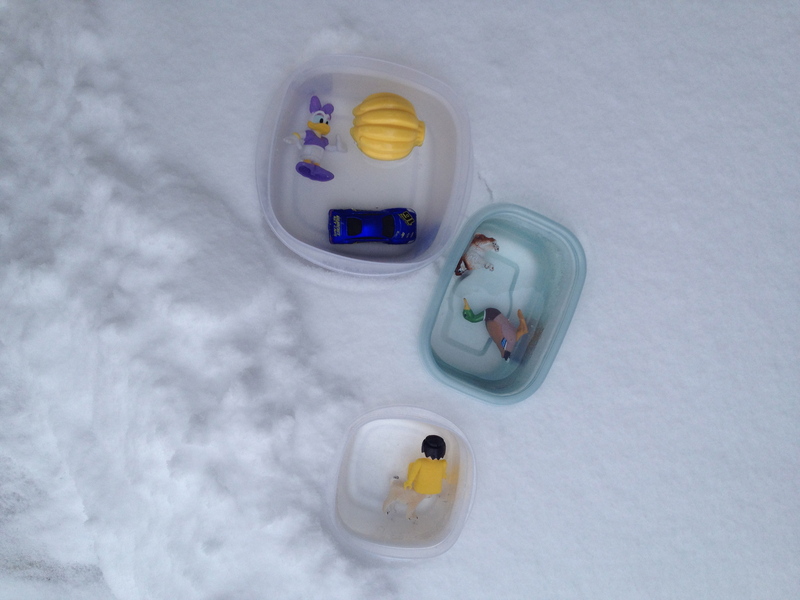 Iceberg and glacier videos and pictures- Visual Learners! Find what we used below. 1. 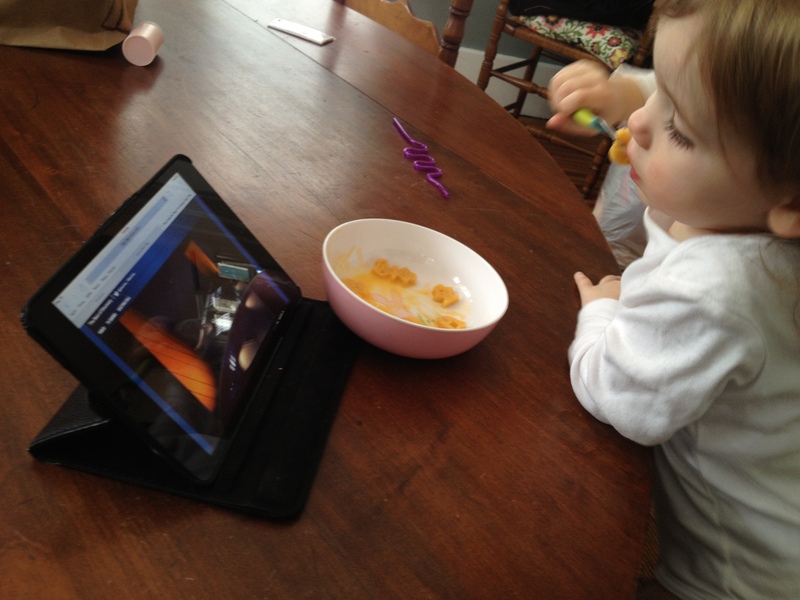 Show pictures and videos about icebergs and glaciers, while telling facts about each. Reagan’s only two, so this part of the activity was very short, specific and to the point. 2. 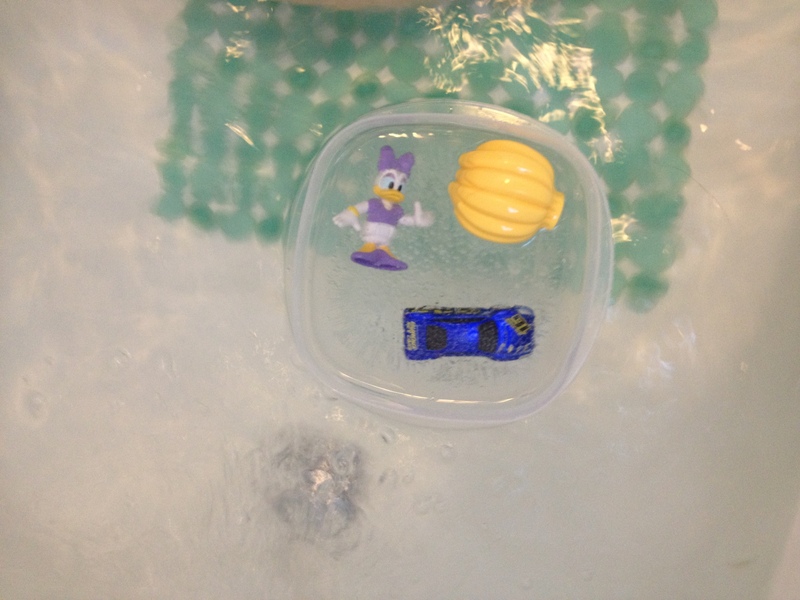 Find small objects around the house that will become a part of your icebergs. 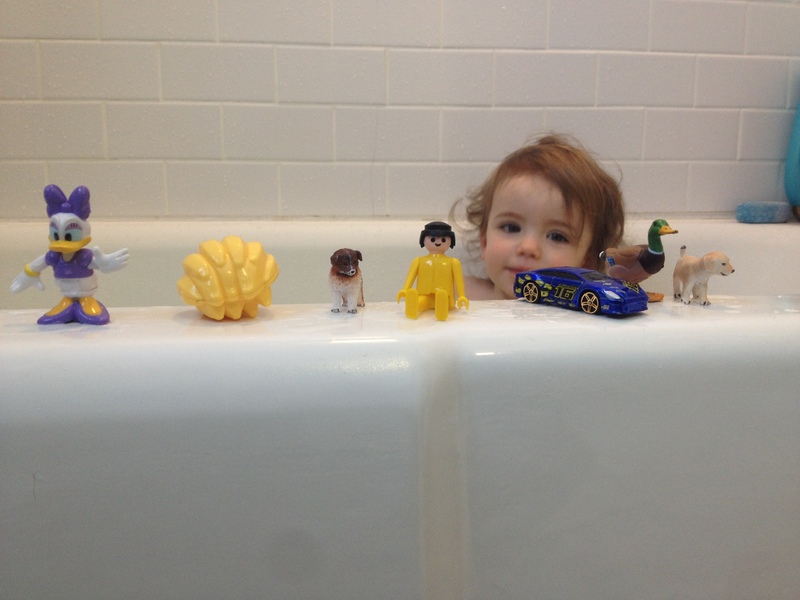 Reagan chose a toy car, several small animals, a play mobile person, a plastic banana bunch, and a toy Daisy. 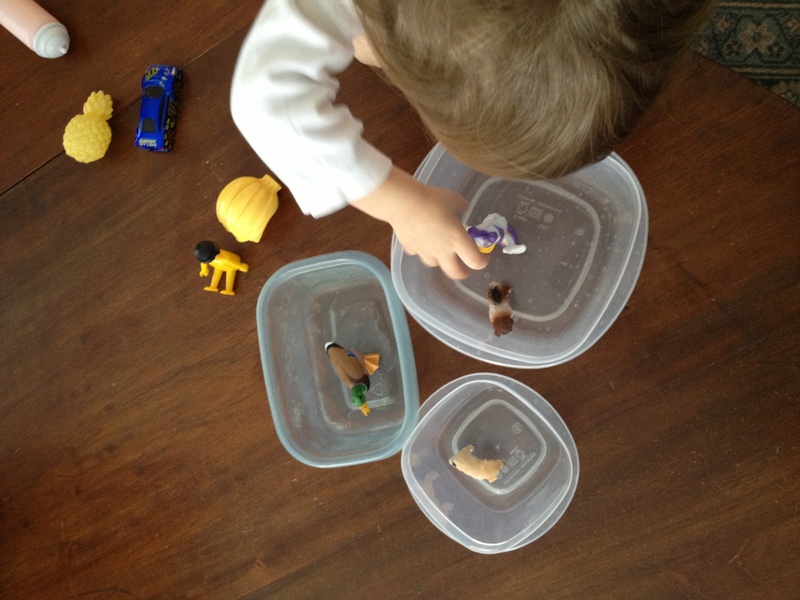 Place objects into bowls and fill bowls with water. 3. Place bowls outside to freeze. The bowls could also be placed into the freezer. We left our bowls outside for about 4 hours, in 10 degree weather. 4. 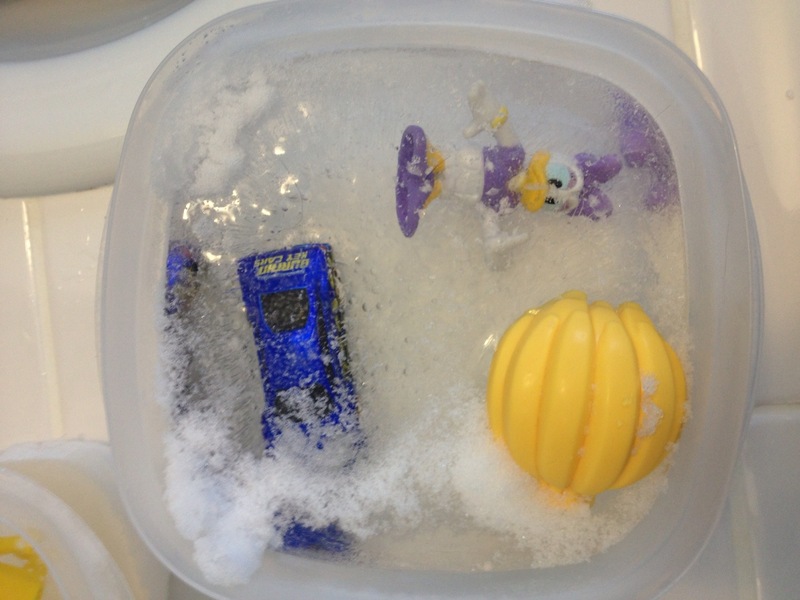 Once frozen, talk about how the ice feels and looks. 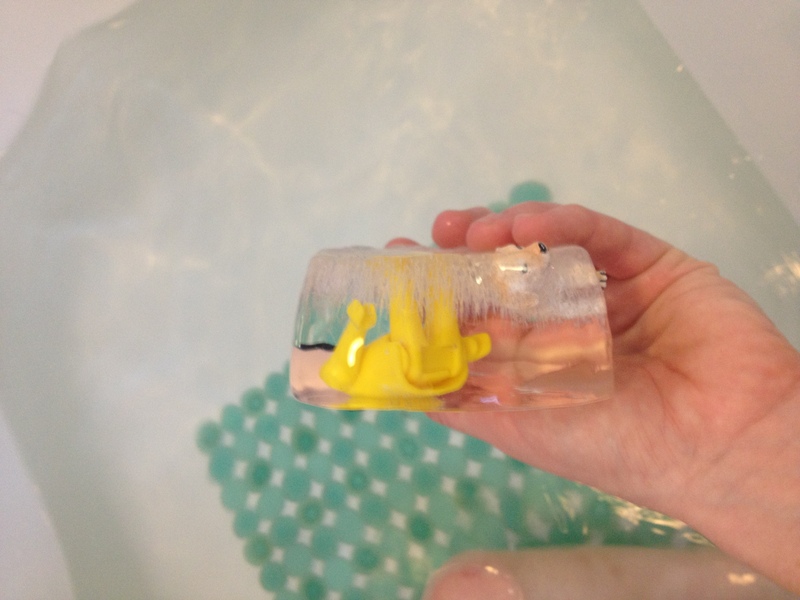 Reagan was in desperate need for a tubbie so we decided to take our project to the bathroom, easier clean up. 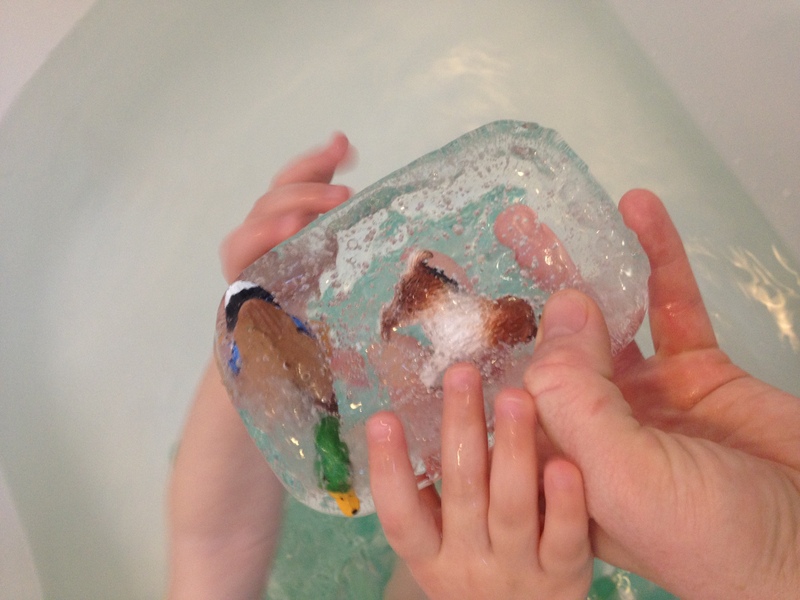 We placed the plastic ice filled bowls into the warm tub water and watched as our ‘icebergs’ slowly came loose from their ‘glaciers’ (the plastic bowls). Reagan had a blast melting her icebergs! 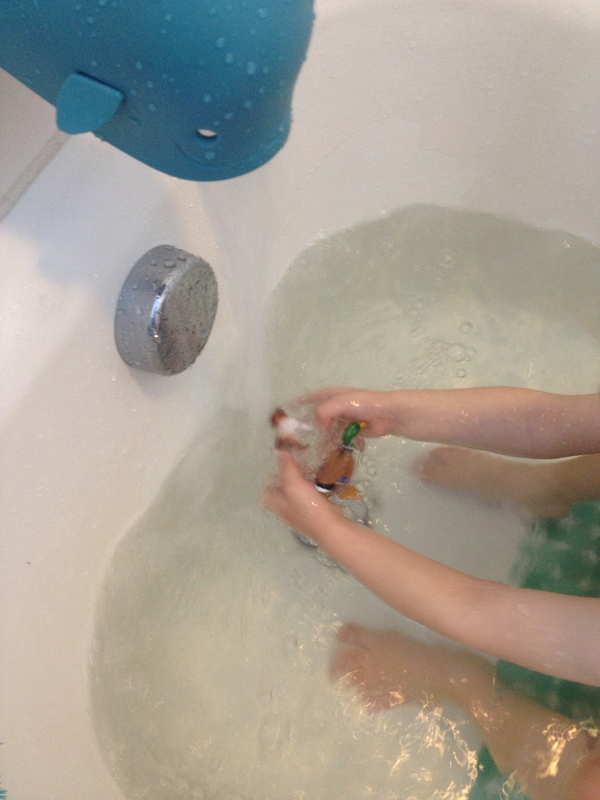 She made various attempts to remove her toys; holding the icebergs under water, holding them under the running faucet and just letting them float around the tub. So much fun!! Thanks for the idea Delia Creates!